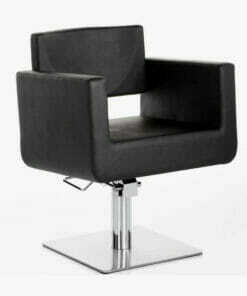 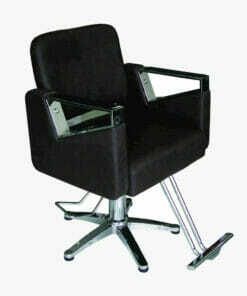 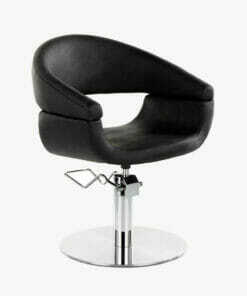 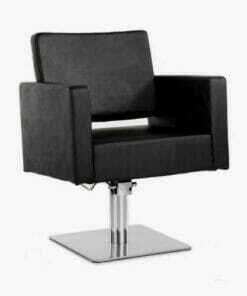 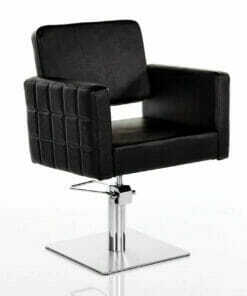 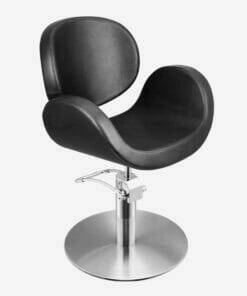 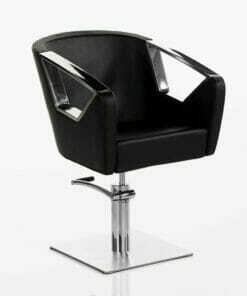 Crystal Hydraulic Styling Chair in Black. 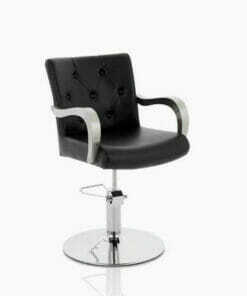 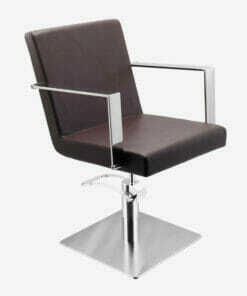 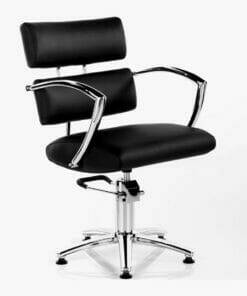 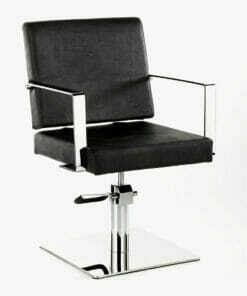 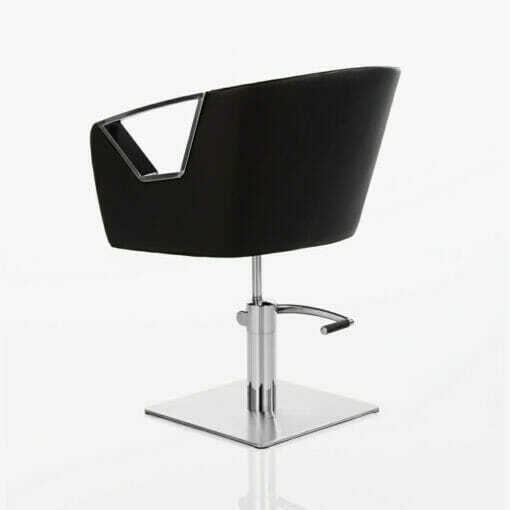 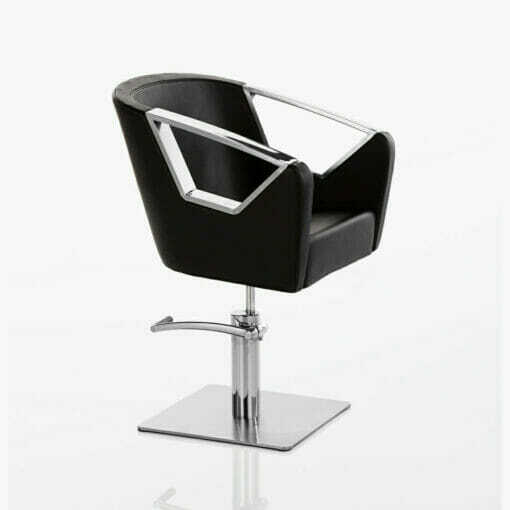 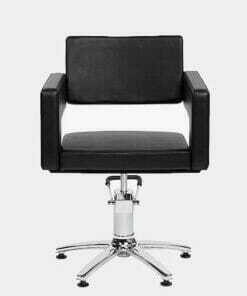 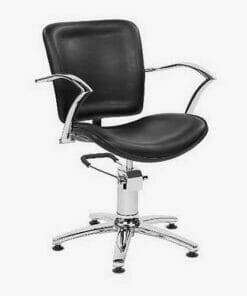 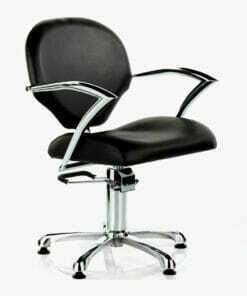 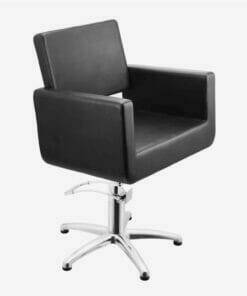 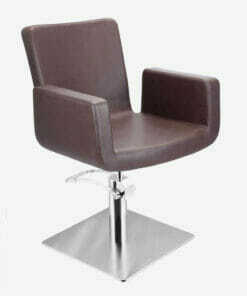 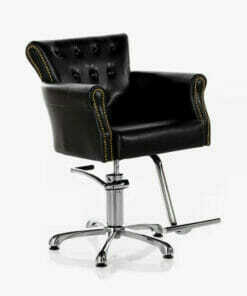 Unique, modern designed professional salon chair with stylish chrome inset arm rests and a comfortable seat and back. 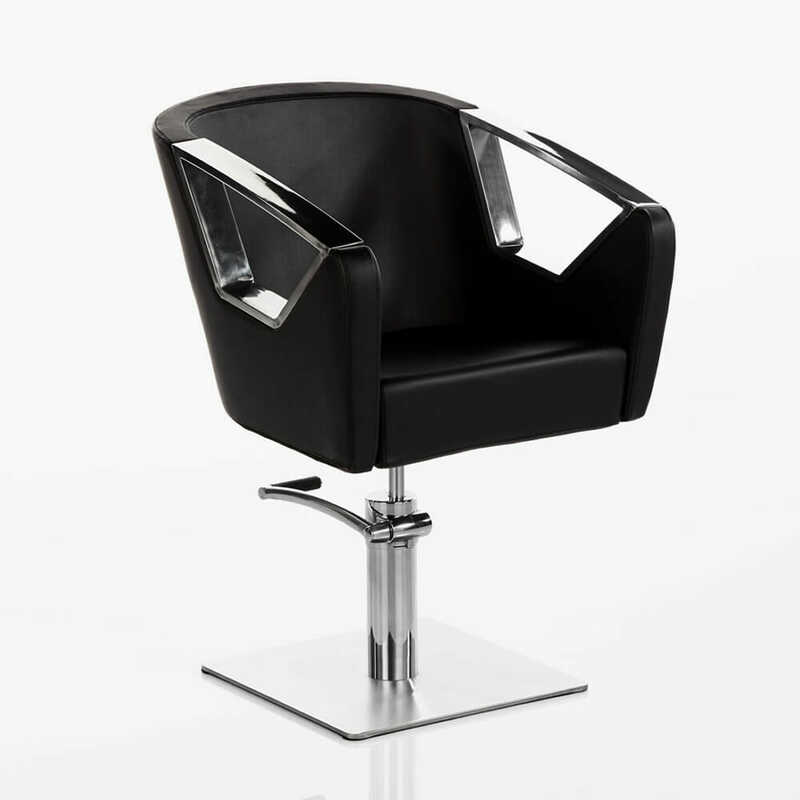 The Crystal Hydraulic Styling Chair comes on a heavy duty square chrome base complete with a locking hydraulic pump. 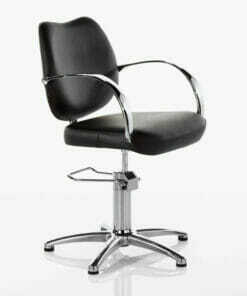 Giving great stability and allowing an easy height adjustment using the foot lever. 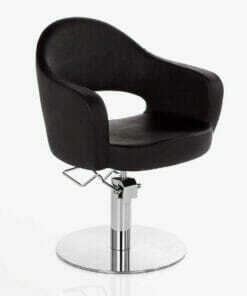 Locking into position to prevent any unwanted movement whilst in use. 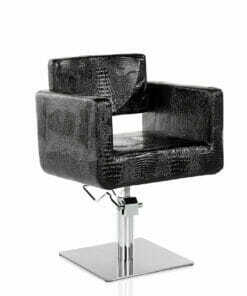 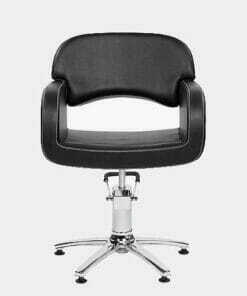 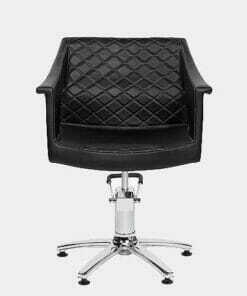 The seat and back rest are upholstered in a hard wearing black fabric. 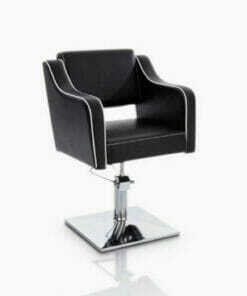 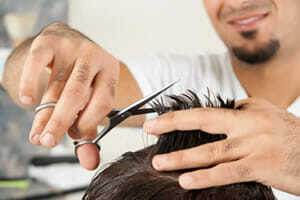 Ideal for any working hair salon or barbers shop. A matching Washpoint is also available from the Crystal range. Allowing you to create a personalised and consistent theme throughout your salon.